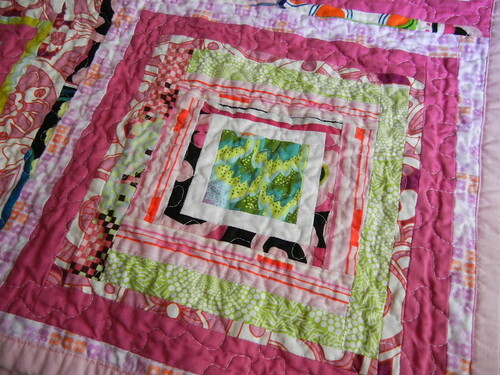 Anyway, so this quilt is moving right along, which makes me happy. 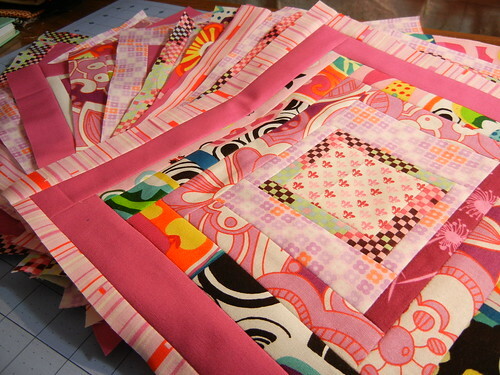 I'm hoping to wrap the blocks up soon so I can get back to wrapping up the blocks for my Single Girl quilt. I'm feeling pretty recharged and ready to climb that last mountain of curves for those blocks, before it becomes a total UFO. 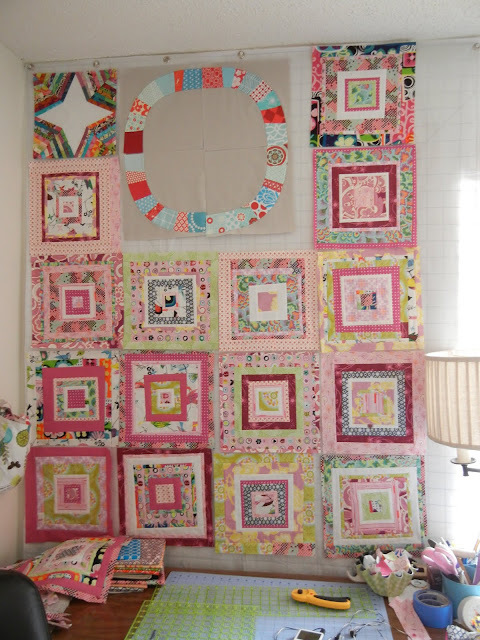 Sidebar...have you ever been hesitant to cut into the last pieces of fabric for a quilt? 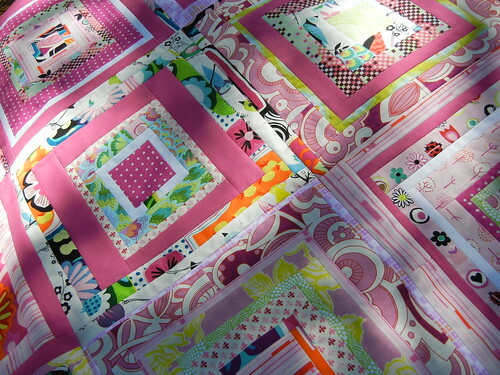 I always like to have extra fabric lying about for a quilt, and with this quilt,I'm using a couple of fabrics I've been hoarding for a while...namely one of my favorite prints from Erin McMorris's Park Slope. That dark pink swirly print is the one I'm talking about. 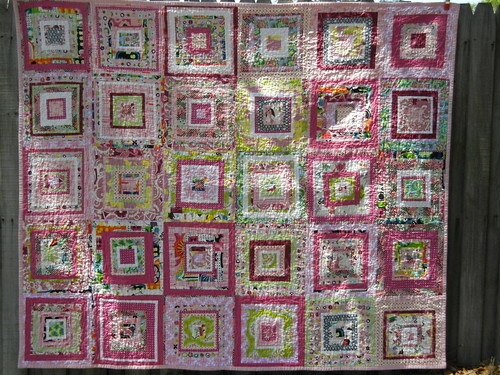 I cut up the last of it this morning for this quilt, and it was awfully sad. It took all I had in me to not hop online and order another half-yard of it from some place. Are you like that,too, when you use up your favorite fabrics? Do you rush out to replace them in your stash? Have an awesome Friday everyone! 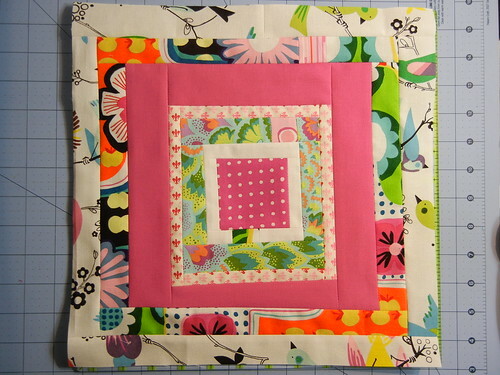 And don't forget, Friday Night Sew In is coming up on 3/18, the day before National Quilting Day, and I'm going to participate (officially) for the first time. 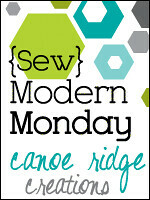 Come join in the fun, feed the family and then sew the night away!